This year marked the 12th Annual Walk for Warmth by the Lexington Rescue Mission, a two-mile walk-a-thon through downtown Lexington in support of LRM's Homeless Intervention Program. This program helps people find affordable housing, pays their first month's rent, and provides case management to ensure they are able to stay housed. It was my privilege to get to emcee the event for the first time. Thank you to everyone who came out and donated time, goods, services and cash to make this event a success. We were recently contacted by our friends at Lexington Rescue Mission to record a PSA. We have worked with LRM for many years, so I saw this as an opportunity to use them as a test subject for a new service: Video. We ended up shooting in one of their offices with just the overhead lights. For a first effort I'm pretty pleased. Looking forward to applying lessons learned, and do another video soon. 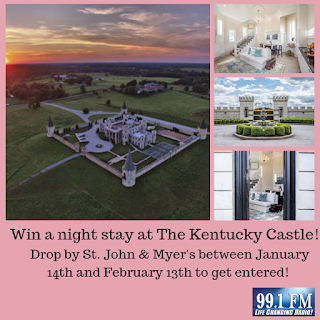 Have you ever wanted to stay a night at The Kentucky Castle? Well now is your chance! 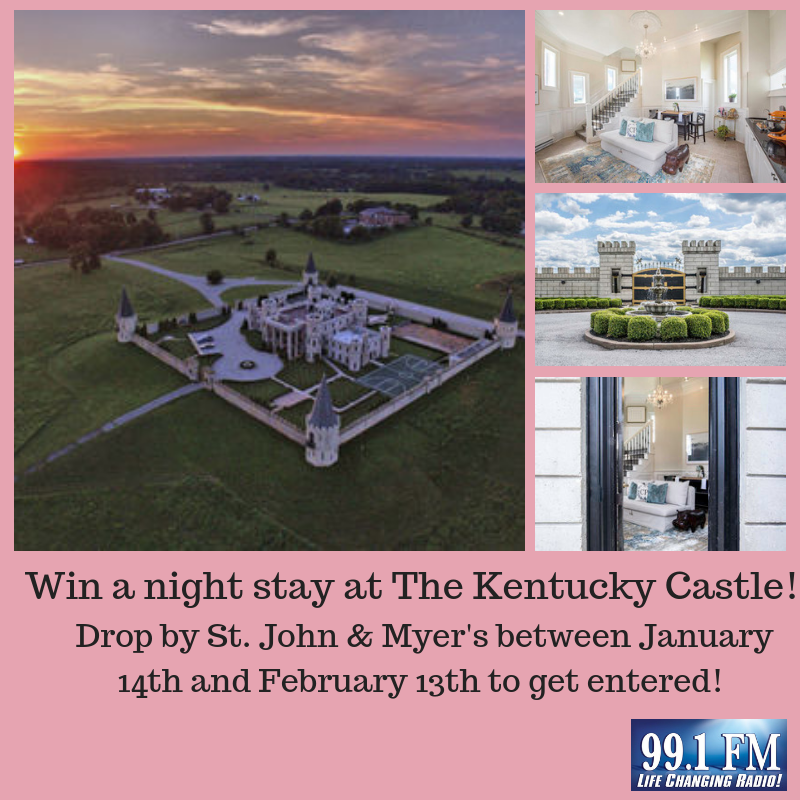 All you have to do is visit St. John & Myers now until February 13th and get you and your sweetie entered to win a one night stay at The Kentucky Castle! Winners will be drawn on February 14th! St. John & Myers is located at 198 Moore Dr, suite 104 in Lexington. Stop by Wednesday-Saturday noon-4:00 pm.